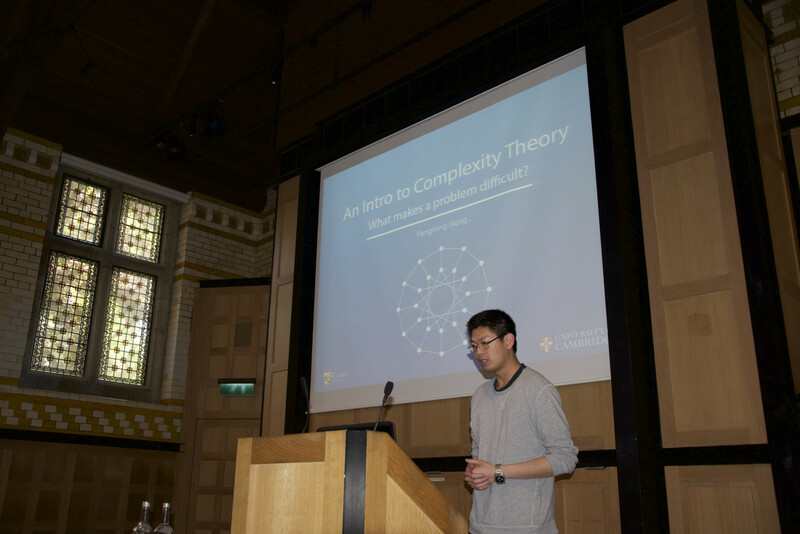 Cutting-edge Caian thinking on topics ranging from the persistence of epigenetic memory to the possibilities of “Captain Buzz the all-smartphone drone” was on display at the inaugural Caius Graduate Research Conference, Caius to the Future. 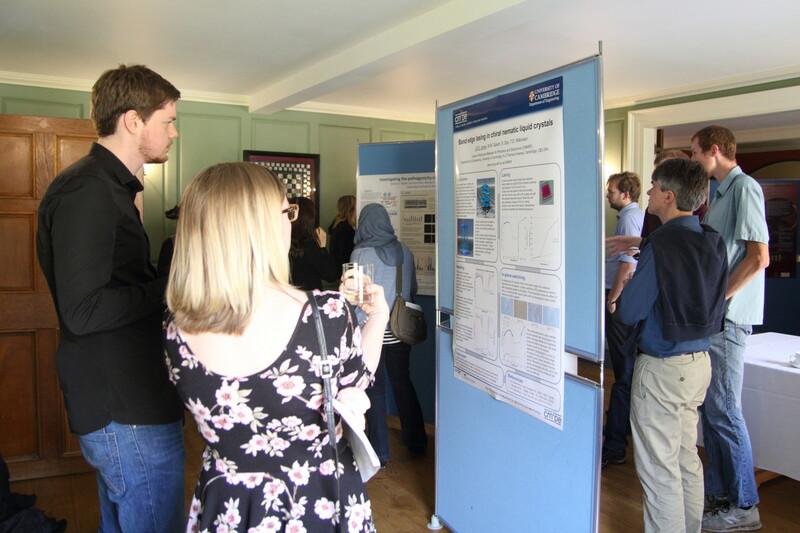 The event, held at Caius on Sunday 10 May 2015, was designed to showcase the breadth and quality of research activity within the College, while also giving graduate students the chance to gain experience of presenting their findings to a non-specialist audience. With papers covering a wide spectrum from Complexity Theory (exploring what makes a problem difficult) to the Viking diaspora in Britain and Ireland via an exploration of the possibilities of DNA origami, the conference also helped boost relationships and collaboration potential between graduates of differing disciplines within the College. 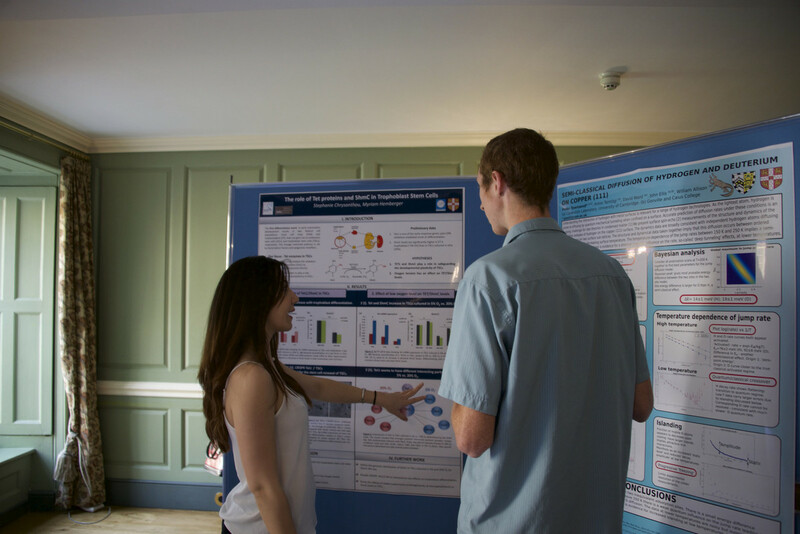 The event, which saw nine graduates deliver oral presentations and 13 present at “poster sessions”, grew out of a desire to expand the current MCR-SCR talks series (informal evenings in which one graduate student and one Fellow present their research) into a larger conference format. There were three central ideas behind the conference, said organiser Paulina Rowicka. 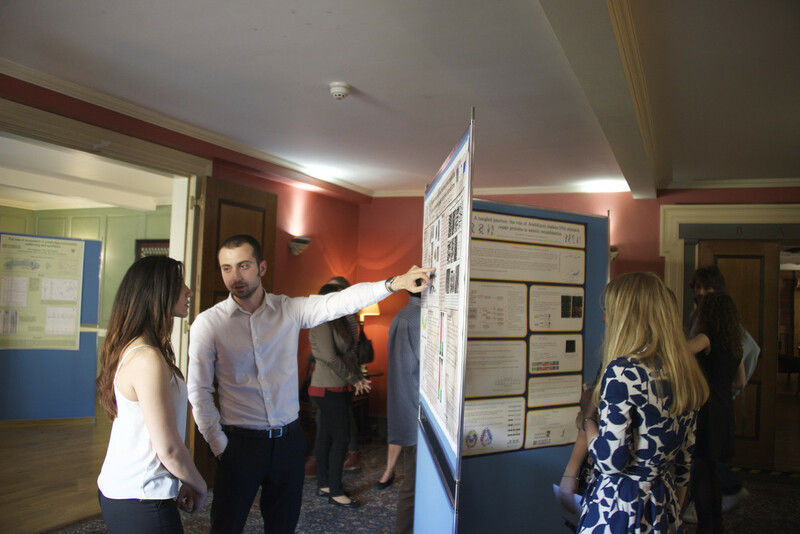 “We wanted to allow graduates to present and discuss their research to their peers, the better to foster a collaborative intellectual environment within the Caius graduate community. 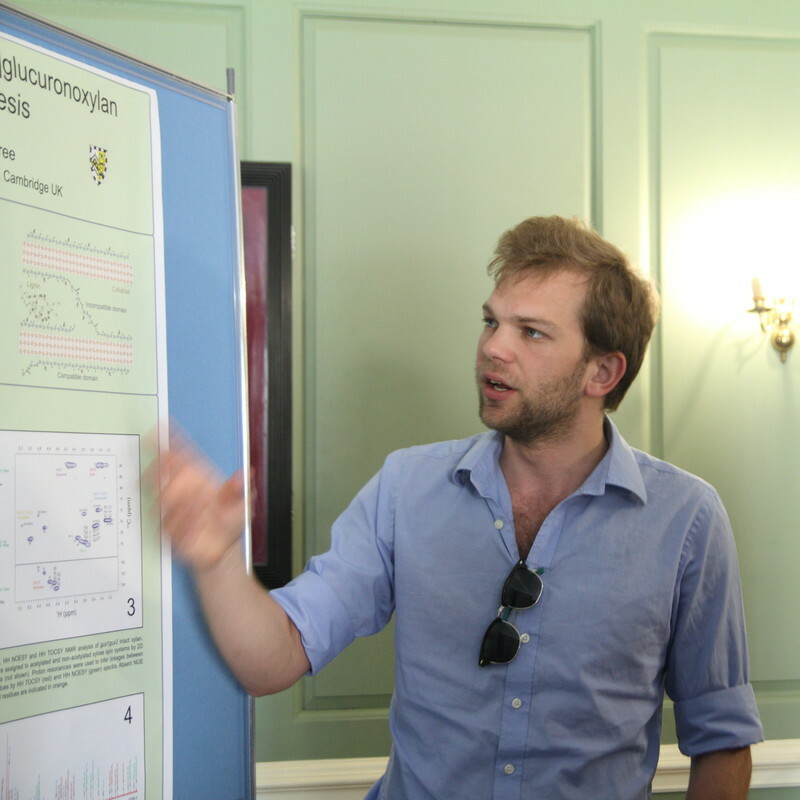 “Secondly, we sought to showcase the high calibre and wide breadth of research activity taking place within Caius. College cultivates a valued community among us that provides a wonderful locus for social events, yet often has a less formal emphasis on academic exchange between MPhils, PhDs, and other research students. Oral presentations explored our relationship to the past and provided an exceptional window into the future - a discussion of violence and the role of the Anglican Church in post-colonial Uganda was sandwiched between a presentation on the possible uses of aluminium in hydrogen-fuelled cars and the 'world debut' of the smartphone-based drone - whilst probing the foundations of the human body, statistical analysis and probability, and complexity theory. Poster presenters discussed their research during two half-hour intermissions, using display boards to showcase an array of interest in fields as diverse as EU family law, European shellfish, the 8th century Viking diaspora, trophoblast stem cells, bioinformatics, chiral nematic liquid crystals, or DNA mismatch repair proteins. Paulina said: “Both the paper and poster sessions made clear that one of the invaluable advantages of being part of a college community such as Caius, which combines a social network with rigorous academic standards, is the opportunity offered to learn about fascinating research outside of one’s own field—a breadth often lost in the intensity of postgraduate research and the specificity of Cambridge’s faculty and departmental offerings”. Dr Ed Brambley, a significant supporter of MCR-SCR initiatives at College, opened the first Caius Graduate Research Conference. 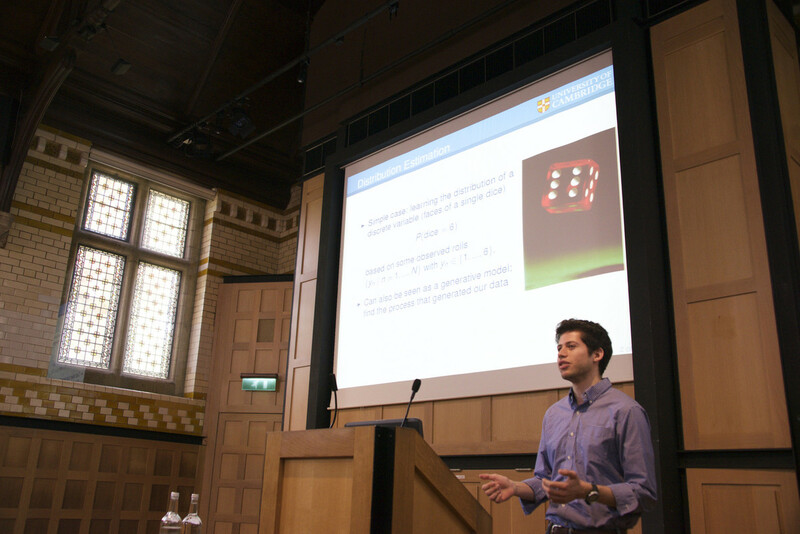 The keynote lecture was delivered by 2012 Caius Fund College Lecturer in Pathology, Dr Julian Sale, who runs his own research group at the MRC Laboratory of Molecular Biology. The conference was attended by a total of some 50 graduate students and Fellows and was followed by a buffet dinner in the Fellows' Dining Room, allowing conversations about the day’s presentations to continue into the evening. In light of its success, there are hopes this will turn into a regular event, reaching out to include undergraduates and alumni in the future. Caius to the Future would not have been possible without the generous support of Gonville & Caius College. We would like to particularly thank Dr David Secher (Senior Bursar), Dr Ed Brambley, Dr Julian Sale, the Conference & Catering departments under Christophe Benedetti and Head Chef Tony Smith, and the Caius IT Department led by Matt Mee. The conference was initiated and organised by Paulina Rowicka (PhD student in Neuropathology) with the assistance of Allegra Fryxell (PhD student in History) and Benjamin Folit-Weinberg (PhD student in Classics).